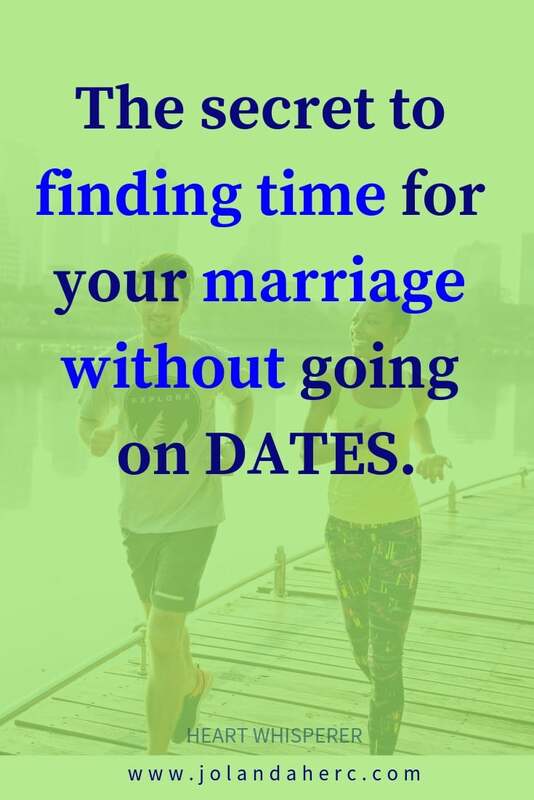 What to do when you can’t find time for dates with your spouse in your marriage? 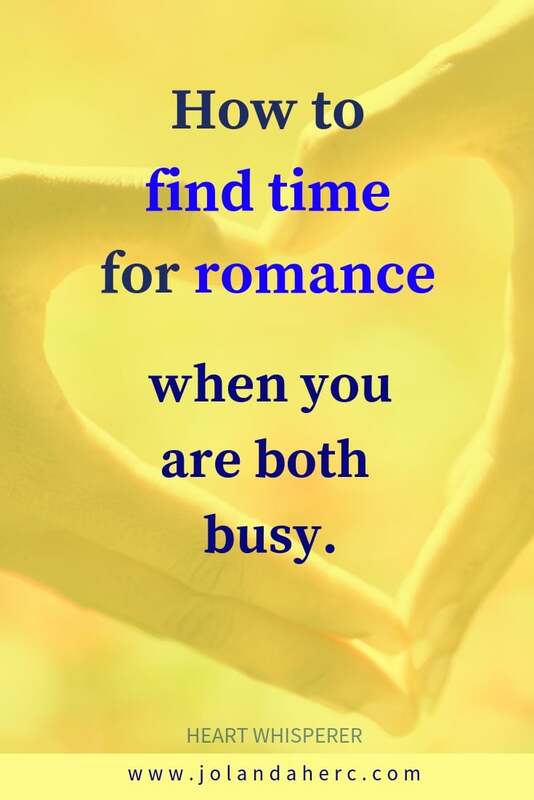 Do you sometimes complain like me with, “I don’t have time for date nights,” or, “I don’t have time to work on our relationship.” There are too many tasks, long days at work, food shopping, laundry, homework, after-school activities, sports, and lessons. The list never ends. The only response to that that I got was: “You have to make the time if you want your marriage to survive. Every piece of advice that I ever read on the internet was only how to make time or what I could lose if I don’t make dating a high priority. Nobody was sharing any alternative to dating in marriage, they all say something like you need to become the master of your time. What if there is something else that I can do? What if the secret to finding time for your relationship has nothing to do with time spent together? 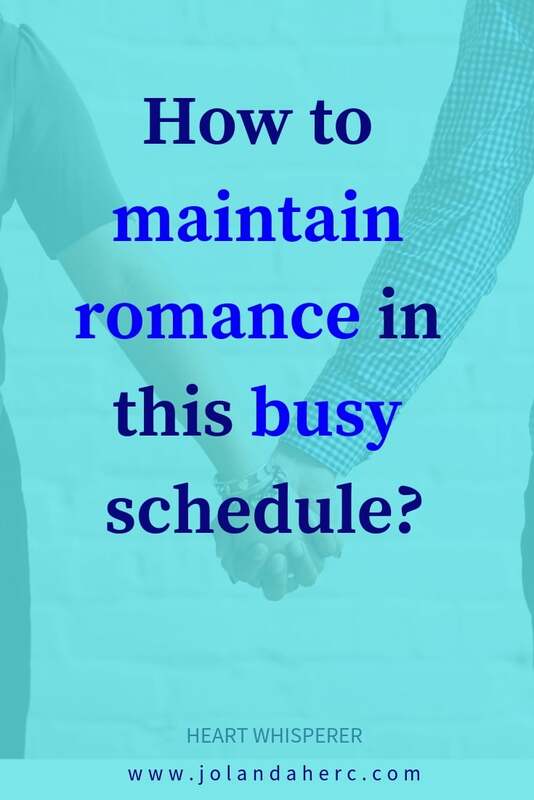 What I discovered about time and deepening our relationship after I stumble upon the problem of not finding enough time for dates? I used to believe that dates are something that will make us stay together, make us stay in love. We went on dates, but with time I notice that dates did not intimacy and closeness that I was hoping for. I know that dates worked for so many, maybe even for you. But for me hey just became one more task to do in an already crowded life. Plus I was so tired of me being the one that suggests them, organize them and make plans for them. Then I just gave up. I throw dating out of my to-do list. I ask myself these 4 questions, that change a lot (not everything). What will a date give me? How could I get that without going on a date? Can I get that being together as a family? Can we do something together that is on our weekly to-do list of activities? When I gave up on dates, I sit down and ask myself what will a date give me? And how could I get that without going on a date? catching up with each other – how we change, who do we become. And that’s where ideas and opportunity start to come in. We are all different, so what we did could not be, what would work for you. But the questions are always the same or similar. On how many ways can I get this feeling of being loved and being close to each other? that when we were finally alone without a kid, we had a hard time to just relax and enjoy. pull us out of seriousness. Can I we do something together that is on our weekly to-do list of activities? After some time without dates at first I have a feeling that we are drifting further apart, then interesting thing happen. The feeling of closeness and love start to grow inside me. I felt more loved and I felt more close to him. Why we grow more close after we stop going on dates together? I notice that few unplanned things start going on in our relationship. They just happen, we did not plane them. Or maybe it has something to do with stop trying to plan and control our lives with my logical mind. I finally hear my inner voice, my heart. 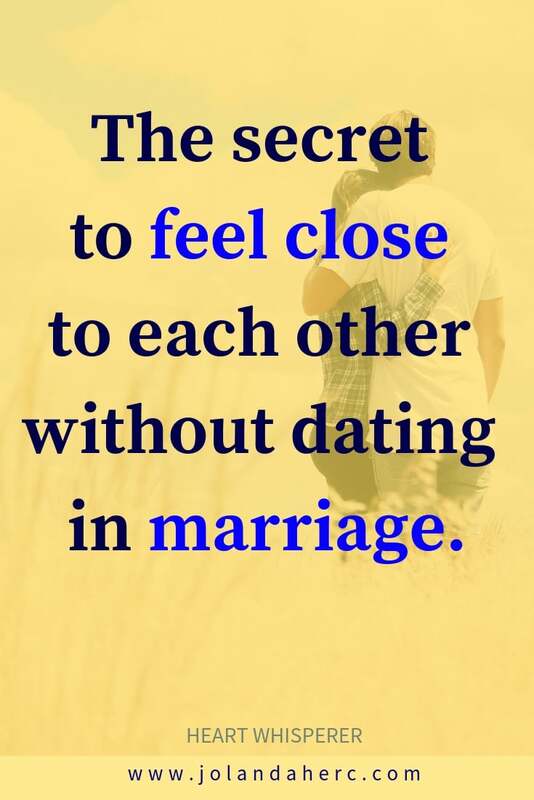 How to feel more close to your spouse without dating? What we were doing differently? I was having dates just by myself. We have these gorgeous wood nearby with waterfalls. I love to spend time there, hiking, listening to water and silence. There it was like my daily burdens fall off me and I could finally hear myself. I could hear my inner voice and I could hear my heart speaking. get creative ideas on how to do things differently in our marriage. almost as I could see them with different eyes. Now I call that my heart whispers. I could finally hear it without the constant noise of everyday life, family, kids, and job demands. Like this little remark one morning that came from him and hurt me so deeply. In the silence between trees, I could hear my own heart sharing that from the men perspective. that just the way he uses his words. the words that he used was just the way he was taught to communicate + his thinking like a man. and start to communicate that, the words would fail us. listening to my heart wisdom without being distracted by his and my words and logic. I start looking forward to his away time. Our dates never create that much excitement in him. I find out that a good way to replace regular ‘dates’ together is to combine our common interests. For us, that was an hour of hiking even when I stay way back and meet him at the top. Our bodies need to move, so why not use that time to be together more. And you don’t even need to find the additional time, it could fit perfectly into your weekly routine of workout that our bodies need. What do you have in common with your spouse? How could you use that to spend time together without adding one more thing to your weekly schedule? I stop sharing that I was hurt because he said that or did not say these or did not give me a compliment. I start sharing more with my girlfriends about my emotions and analyzing them with them, sharing stories. I know that they say that in marriage you build intimacy with sharing everything. I just stopped with that. I tried and he never understood me even when he was trying. And then I was hurt or feel rejected and closed down. Or even give him my silent treatment. But when I stop and went with my emotional bag to my girlfriends, I was completely understood and feel better. Why Talking Is Not Enough: Eight Loving Actions That Will Transform Your Marriage. Is time really essential in maintaining a healthy lasting relationship? I find out over and over again, that the only essential thing in any relationship is the heart. 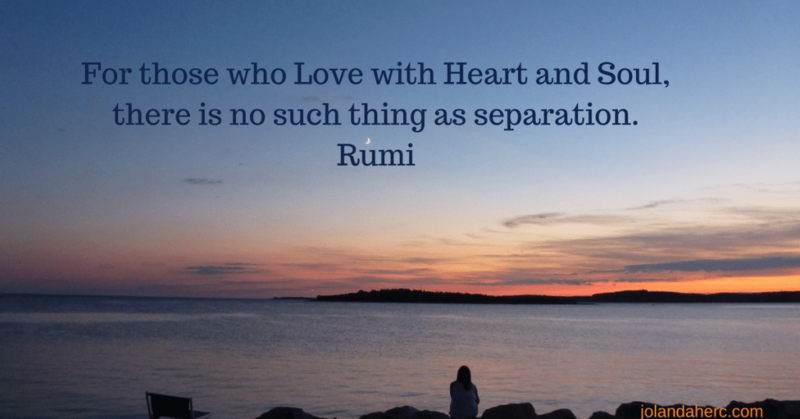 When the two hearts are connected, that give you energy and joy for everything else. So many times when there was a misunderstanding between me and my beloved, it was more often than not about me speaking different languages them him. often solve more problems in my relationship than anything else, including time, spend together (or not). 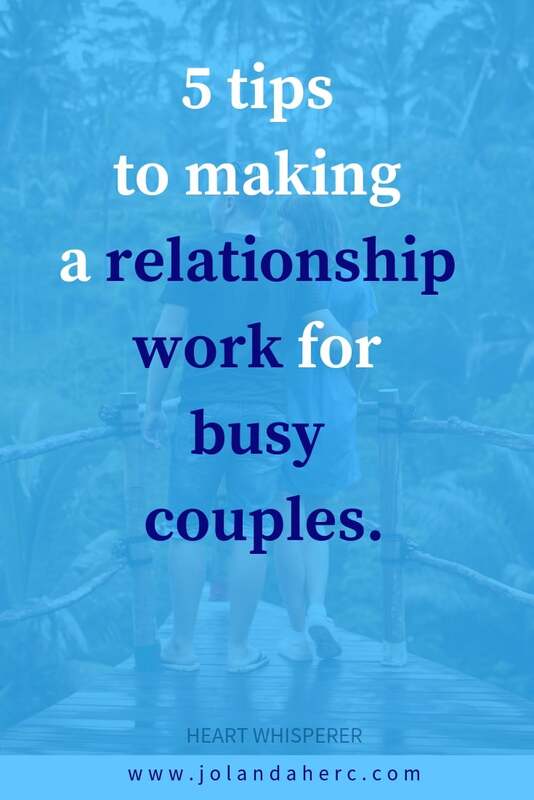 It would help if I felt like my husband actually wanted to still spend time with me but I have this fear sometimes that I am the last person that he wants to spend his time with. I am not sure how we grew so far apart but here we are and I am stuck on what we need to do to help bring us back closer together. If that is your story, take a different approach first. Try simple HEART game without your spouse and that will bring you closer to your spouse.